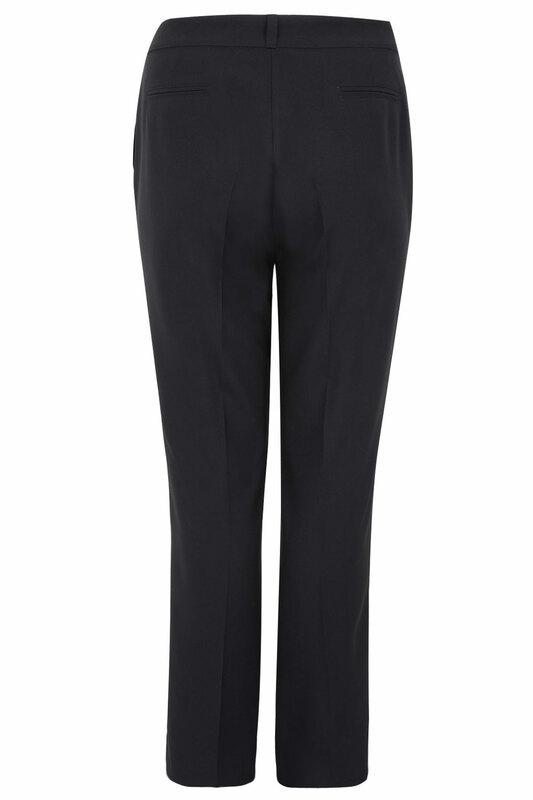 Plus size black classic straight leg trousers with functional pockets to the front and imitation pockets to the back. They have a crease to the front and back of the legs, a concealed zip fastening, and two buttons for a secure fit. 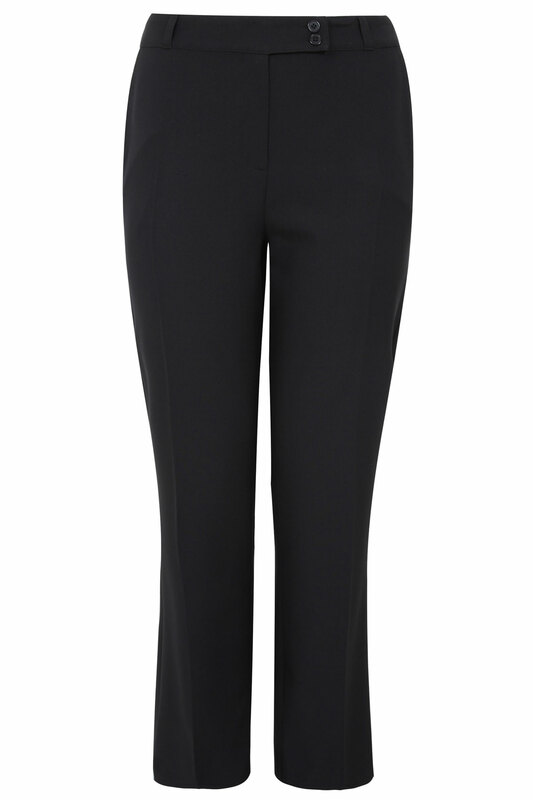 Can be worn with a white shirt and heels for a smart office look.